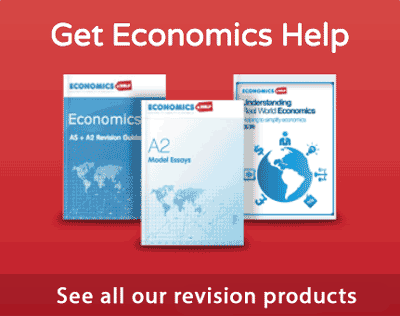 Home > Economics help blog > economics > How useful is pareto efficiency? 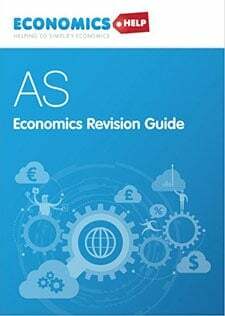 Readers Question: Pareto efficiency occurs (as you say) ‘when it is impossible to make one party better off without making someone worse off’. Assume (and Economics seems to do this a lot) two people live in the world. One is a multi-billionaire and the other has no money at all. If the rich guy gives the other guy a few bob this is not Pareto efficient as the former is worse off! Isn’t this complete codswallop? And Pareto won a Nobel Prize for this! Am I missing something here? What do you think? Firstly it depends on how you define utility. If a billionaire gives money away to charity – he has less money – so from one perspective, he is financially worse off. 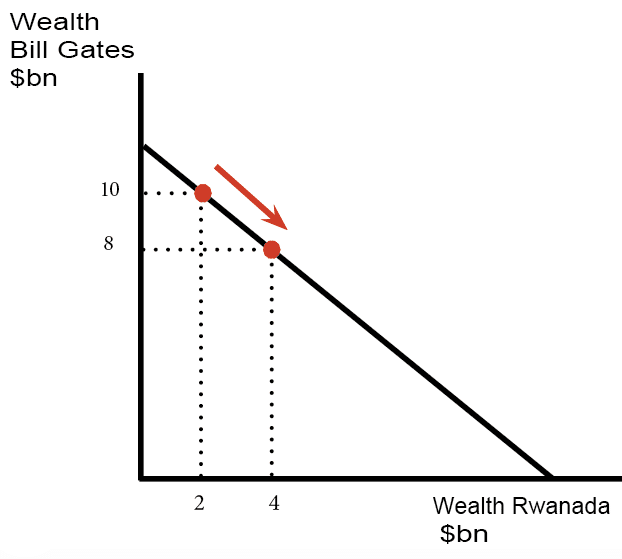 If Bill Gates gives money to Rwanda, his wealth declines and Rwanda becomes wealthier. 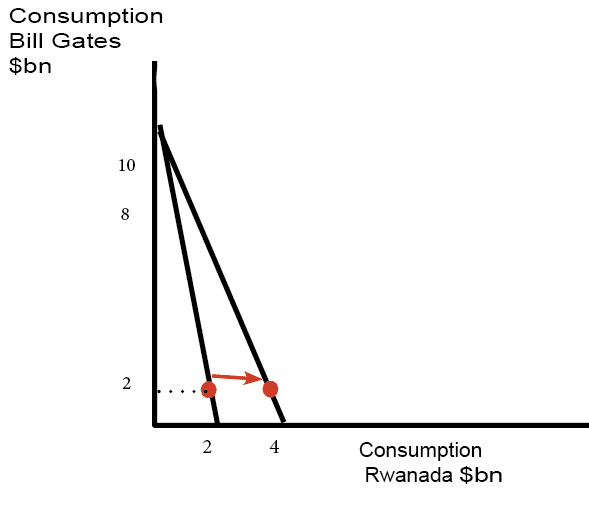 Giving wealth to Rwanda doesn’t reduce consumption of Bill Gates, but does increase consumption of Rwanda. Developing economies gain from capital investment to alleviate poverty. Pareto efficiency can have its uses and may form part of the decision making process. But also it has its limitations. It makes no judgement about the equality of distribution or overall welfare. 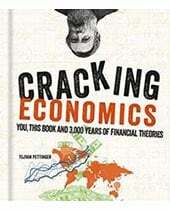 A distribution of income could be Pareto efficient, but not maximise overall social welfare. It could involve some resources being wasted – as long as no one feels worse off. From a utilitarian perspective, we should consider the utility that income gives. 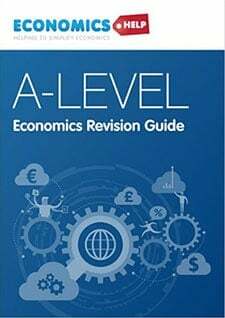 If we transfer money from the rich to the poor, it is not a Pareto improvement in terms of wealth – the rich are worse off. 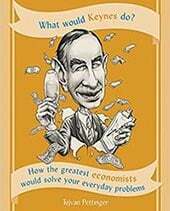 But, such a decision may increase overall utility in society because of diminishing the marginal utility of money. A billionaire wouldn’t really notice not having less income, but the developing economy or individual living in poverty would see a significant increase in well-being from a small increase in income.